I love looking at old photographs and seeing how the world has changed – and how, in a lot of ways, it really hasn’t. 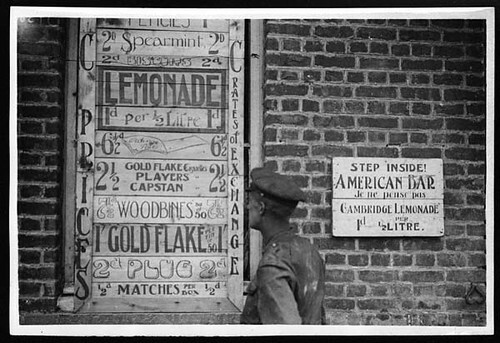 Sure, things look old fashioned here, but are they really that different? The best move I ever made is to choose to date my best friend instead of the person I was romantically entangled with at the time. Sarah is my best friend. If that weren’t true, marriage would be pretty difficult. My best piece of advice for people out there looking for love is to look at your best friends. If you want something, stop dreaming about it and start figuring out how to make it happen. Sitting around dreaming just eats up time you could be using to head toward your dreams. Every once in a while, I see something that sends me down a long road of reading and research and discovery. This photograph did that recently. 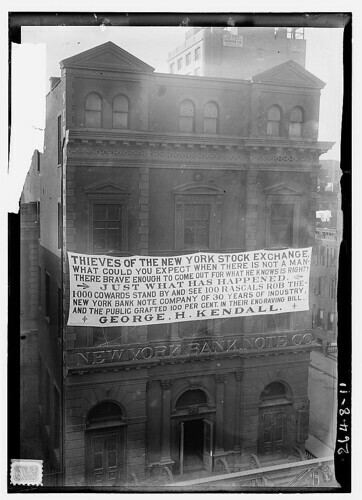 Apparently, there was a long running feud between this George Kendall and the New York Stock Exchange in which the stock exchange would not allow stocks to be listed or traded if they were engraved by Kendall’s company. It sounds like a personal disagreement that just snowballed into something ridiculous. It’s fascinating to see the lengths people go to for their personal disagreements. Virtually every time, the person who comes out on top is the person who prepared well. Time invested is just a part of that. If you want to get better at something, do it, then look for the things you did wrong. Work on fixing those details, then do it again, then look for the things you did wrong. It’s a never-ending loop. There is no business, no project, no anything that has always existed. Every human structure started from nothing. Whenever you’re thinking of starting, remember that every big thing started from nothing. All of the greatest human endeavors started in the same exact place. This film embodies everything I wish American government would be. If you really want a better country, you’ve got to put aside the partisanship and the desperate desire to be the “winner” and solve the problems facing our country. I really needed to see this again this week. I find that the more I learn and the more I experience, the more sides I see to everything. There are very few hard and fast rules about how people and things must be. The older I get and the more I read, the less certain I am about anything. The entire performance was created on the fly with an electric violin and some equipment. I’ve heard some amazing street performers before. This is just impressive.